Not all sportsmen find public attention and praise captivating. Alexander Vinourkov is one of such men as he rarely shows up at interviews and press conferences. Despite being in charge of one on the biggest and successful teams in the sport of professional cycling, he seems to be a man of few words who finds solace in the sport and cares very little about what others might think about him. 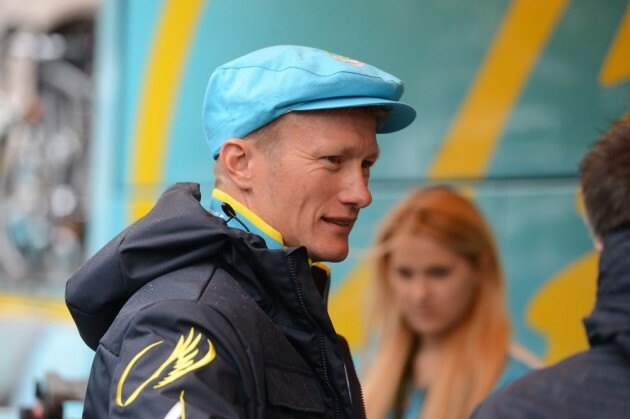 Vinourkov, who is currently in charge of team Astana, has said in an exclusive interview that he believes Nibali can win the Giro d’italia. He expressed his sentiment saying that Nibali’s chances of success at the competition were rapidly growing. “Vincenzo wants to win the Giro d’Italia again. He immediately asked to target the Giro after what happened last year at the Vuelta. He wanted to find new motivation and the Giro d’Italia is something to aim at. He went on to add that the most important thing to him at the moment was for the Astana team to hold on to the gold medal. “It’d be great for us if vincenzo won Gold and Alexey Lutsenko took silver for Kazakhstan. That’d be perfect, id be super happy. The important thing is that the gold medal stays with the team after my success in London 2012,” he said. Vinourkov himself had been greatly admired during his time for his aggressive racing style but was found to have tested positive for a homologous blood transfusion at the tour de France. He was banned for two years after which he returned to the sport and retired from competitive cycling after the London Olympics.